When the original 1-800-GOT-JUNK? launched in Vancouver, Canada in 1989, Brian Scudamore was a college student looking to make some extra cash over a summer break. Not long after, the business grew into a franchise network with a Toronto location opening in 1999. Keeping in line with how the business started, 1-800-GOT-JUNK? continues to hire younger team members — often college students — who are behind the wheel of the company’s trucks. With 22 cab-over trucks, the Toronto franchise is the largest and highest in revenue throughout the franchise network. Team members are typically between 20 and 30 years old with no professional driving experience. Kelly Mack, operations manager for 1-800-GOT-JUNK? Toronto, says that while these younger drivers are personable and work well with customers, the lack of experience can always be a concern. 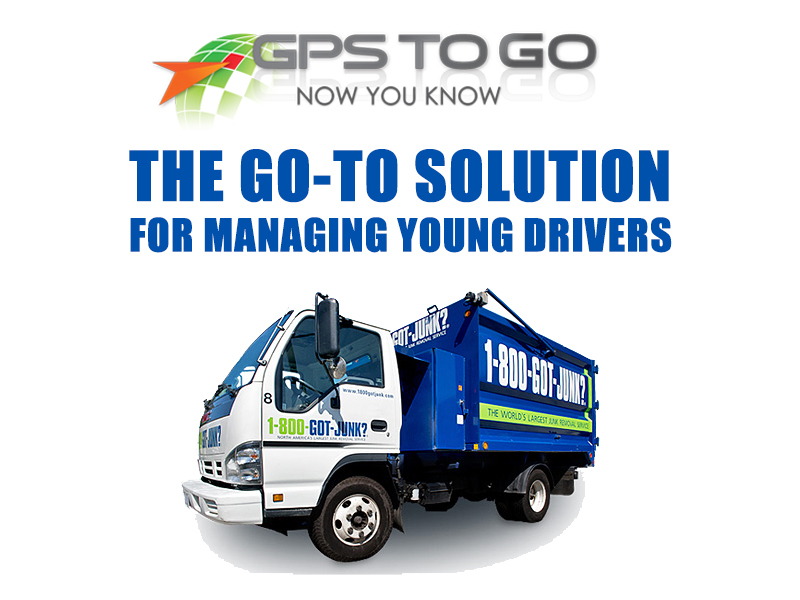 Telematics and, specifically, Geotab fleet tracking units provided by GPS to GO were the go-to solution to manage these younger, inexperienced drivers. Since installing Geotab’s plug-and-play system in 2011, one of the most obvious benefits was improved routing. The company can more confidently get trucks to customer locations on time and efficiently — and then onto the next job. Other dispatch responsibilities have been eased as well. If a new call comes in for a pick-up, for example, the dispatcher/“Operations” is able to send the nearest truck to the job and re-route others as needed. “We get same-day bookings from locations all over the city, so if we know that a job could be more suited for a truck that’s in a closer geographic zone, Geotab helps us locate the truck, and we can dispatch the team that is closer to the job,” Mack says. Also, the Geotab system helps ease any overnight worries of vehicle theft while the trucks are left sitting at their parking spots. “Any business that wants to provide great customer service, be on time, dispatch effectively, ensure employee accountability and vehicle accountability would greatly benefit from having telematics in their vehicles,” Mack says. 1-800-GOT-JUNK? Toronto has even seen better results in the Ministry of Transportation’s Commercial Vehicle Operator’s Registration system, which tracks the on-road safety of commercial fleets. Poor performance can result in a business losing its privilege to operate commercial motor vehicles altogether. Launching telematics into a fleet can cause concern from the drivers being monitored. But for 1-800-GOT-JUNK? drivers are well aware of the Geotab systems, and according to Mack, they see the value of GPS fleet management systems. “These younger team members come to the job understanding that GPS systems in the vehicle is the norm and to be expected as part of the job,” Mack says, adding that as telematics technology has become more commonplace, the company gets no pushback from drivers. Plus, some of that driver worry about the monitoring is part of why it works. “They drive better because they know they’re being monitored,” Mack says.